This being said, it you are unable to speak early 19th century seaman, don’t waste your precious time with Master and Commander. 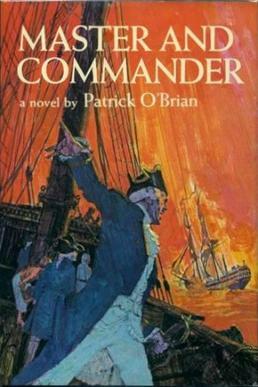 Captain Jack Aubrey’s high sea adventures are infamous to many in the world of literature, but during almost every battle scene we didn’t know if the main character was commanding a full broadside or requesting a fried bologna sandwich with extra mayo and pickle. Plus, what the heck is a Sloop? awww, I haven't read this series yet, but that said, the books are supposed to be classic! Visit me back on the hop! I LOVE the Aubrey/Maturin series. I may not completely understand the vernacular, but I rarely understand a word my wife says and I love HER.